Dr. Maurizio Atzeni is a researcher at the Centre for Labour Relations, Argentina National Research Council (CEIL/CONICET) based in Buenos Aires. Dr. Immanuel Ness is Professor of Political Science at Brooklyn College, City University of New York and Senior Research Associate, Centre for Social Change, University of Johannesburg. 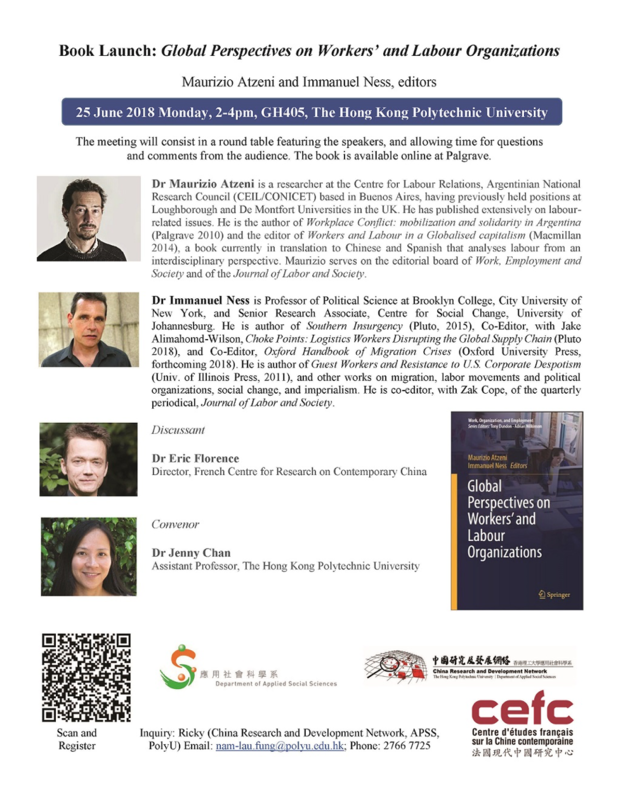 Global Perspectives on Workers’ and Labour Organizations, please click here for more information about the book.